No wait. They took me in early. Dr Wagman was professional and friendly. Totally in tune with my sports cardio issue.Staff scheduled my follow-ups promptly and professionally. Highly recommended. No wait. They took me in early. Dr Wagman was professional and friendly. Totally in tune with my sports cardio issue. Staff scheduled my follow-ups promptly and professionally. Highly recommended. Dismissed my health problem by saying I was too young to have any health issues. Was overall very dismissive and seemedunwilling to look into my symptoms. Dismissed my health problem by saying I was too young to have any health issues. Was overall very dismissive and seemed unwilling to look into my symptoms. 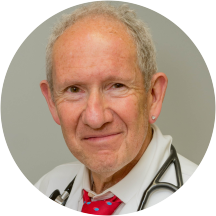 Dr. Bernard Wagman is a caring and skilled cardiologist serving the community of Washington, DC. Dr. Wagman attended the State University of New York, Buffalo, where he received his medical degree and completed his residency and internship at Washington Hospital Center. He also completed his fellowship at Pacific Medical Center. Dr. Wagman is a part of Cardiology Associates. Patients see Dr. Wagman for a variety of reasons, including cardiology consultations. He is board certified in cardiovascular disease and internal medicine by the American Board of Internal Medicine. Dr. Wagman is bilingual in English and Spanish, patients from a variety of backgrounds enjoy having him as their physician. Dr. Wegman has a special interest in sports related cardiac symptoms and conditions as well as extensive experience in health issues as it relates to international wilderness travel. Quick check in, friendly staff! The doc listened to what I was concerned about and immediately ordered tests. I look forward to going back to him! Excellent! I am very particular with my doctors and expect the best when it comes to their ability to listen, ask questions, and share knowledge. Dr. Wagman did just that. He listened to my problems, asked questions along the way andexplained why he was asking them, and then diagnosed the problem. I had seen multiple doctors prior to my visit who were not able to determine what was wrong and he knew immediately. Highly recommend! Prior to meeting Dr. Wagman I was in a turmoil for the last six months: have major surgery now or wait? With strong medical arguments, he put me at peace advising that waiting is the better choice given the serious complicationsthat my surgery entails. My cardiologist of 15 years is no longer. I am looking forward to being under Dr. Wagman's future care. Great Experience. Looking forward to my follow-up Appointment and making progress toward treating my problem! The experience was a very good one. The office was clean and well lit. The nurse explained everything well. The doctor was congenial and engaging. Dr. Wagman put my mind at ease and answered several questions that I posed to himabout my health. I would recommend him to others. He's affable, seems both concerned and patient, which I appreciate. The office is friendly but efficiwent, with everything running on time.